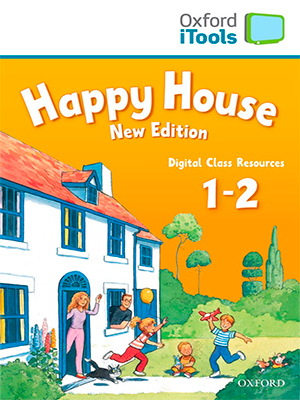 Happy House New Edition - Оксфордский двухуровневый курс английского языка Happy House предназначен для младших школьников, ранее не изучавших английский язык. Курс основан на рассказах с объяснением понятий из реального и воображаемого мира, позволяет начать изучение иностранного языка так же естественно, как и родного – через аудирование и говорение, и далее плавно перейти к обучению чтению и письму. Курс имеет единую сюжетную линию и поддерживает интерес детей к языку на протяжении всего обучения..
Class Book - учебник, основное пособие курса. Activity Book + MultiRom - рабочая тетрадь с интерактивным диском для самостоятельной работы учащихся. Class CD - диск с аудио записями к курсу. Teacher's Book – книга для учителя, содержит ксерокопируемые материалы для групп с неоднородным уровнем знаний. Teacher’s Resource Pack - ресурсный пакет для преподавателя, рассчитан на оба уровня курса, включает в себя 8 двусторонних постеров, буклет материалов для оценки прогресса. Happy House part of The Happy Series - was created to bring happiness into the classroom because experts agree that it's easier to help pupils learn a language in a positive learning environment. The fantastic songs, imaginative stories, and much loved characters lead children through 3 settings – Happy House, Happy Street, Happy Earth – that are perfectly in step with a child’s development. Happy House starts with listening and speaking, introducing the written word in the second year. The stories of Polly's and Jack's family and the mice that live under the floorboards offer an attractive combination of familiar and fantasy worlds. Happy Street is for children who are ready to read and write. The characters from Happy House have grown up a bit and are exploring the streets! The adventures of 'Colin in Computerland' are loved by students. Happy Earth is a topic-based course with a focus on culture for children who have done two years of reading and writing. Happy Earth bridges the gap between primary and secondary courses. Happy teachers meet their students' needs! A methodology and classroom procedures that really work have made Happy an international best-seller. Use the Happy Series as a six-year course or each cycle as a two-year course. 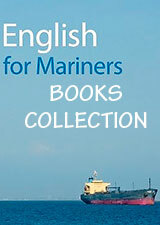 For the pupil: • Class Book, with new cross-curricular and culture pages and motivating Take-home English projects. • Activity Book, with stickers for children to keep a record of their learning, cut-outs and a MultiROM, with games, songs and stories. For the teacher: • Teacher's Book. • Class AudioCDs, with karaoke songs. • Happy House iTools: digital classroom resources, DVD clips, make-your-own worksheets and much more. • Teacher's Resource Pack containing puppets, 40 storycards, masks, a poster, flashcards, Teacher's Resource Book and Evaluation Book.